Highest admissible casting time in which the mold has to be filled before there buckles develop. Ideally, it should also be considered when calculating the casting and feeding system. 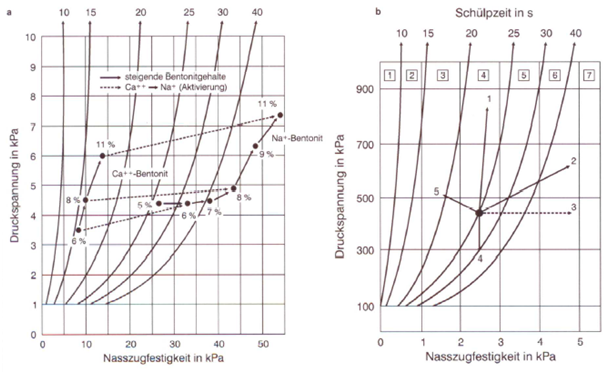 Basically, two possibilities for reducing sand extension defects and/or increasing the critical scabbing time result from the scabbing time diagram: an increase of the wet tensile strength and a reduction of tensile strenths. The operating point of green molding sand is changed by molding material additions, incoming used core sand, process water and repeated sand cycles. In this case, the buckle diagram (Fig. 1a) provides the caster with the possibility to accurately estimate changes and to consider them when calculating cycles. For this reason, a scabbing time reduction does not take place due to a bentonite disactivation or hyperactivation and depends on thermal stability, salinization resistance and the molding material cycle state (Fig. 1b). 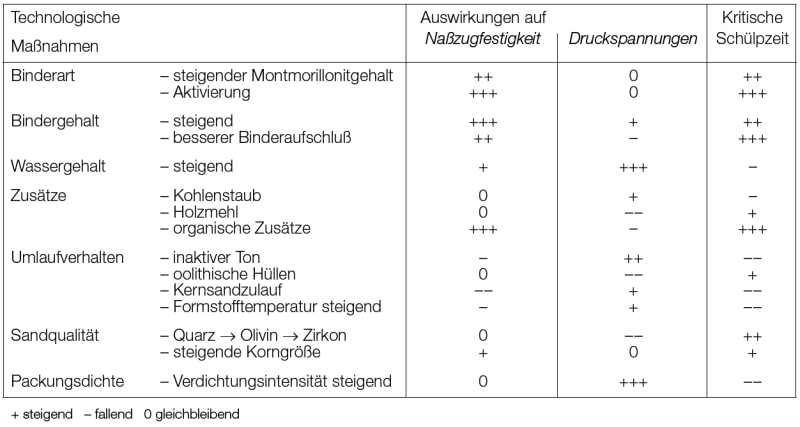 Table 1 illustrates influence variables on extension defects (buckles). In general, it can be assumed that high wet tensile strength and a low tendency towards defects can only be achieved using good, fully activated bentonites (see activated bentonite).